One of the major subsystems of each airplane is the landing gear system which must be capable of tolerating extreme forces applied to structure during ground maneuver to improve vibration absorbing performance. The traditional landing gear system performs this function well under normal condition, whereas with varying condition of landing and situation of the runway for the airplane, performance of this system decreases noticeably. In this research, for overcoming this problem, the coefficients of controller, the parameters of hydraulic nonlinear actuator added to the traditional shock absorber system, and the vibration absorber are optimized simultaneously by the bee intelligent multi-objective algorithm. As well as, for proving adaptability of this algorithm, this paper presents the sensitivity analysis of three point landing due to the additional payload and the touchdown speed and the robustness analysis of one and two point landings due to the wind conditions as emergency situation on the runway as an innovated work. 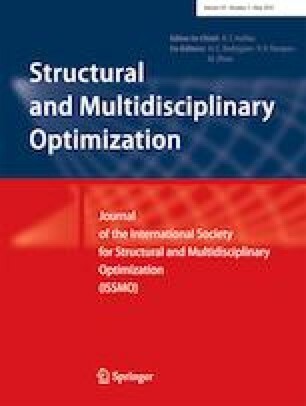 In order to evaluate the effectiveness and the efficiency of proposed method, the flight dynamic differential equations of an Airbus 320–200 vibrational model during the landing phase are derived and through the numeric technique are solved. The results of numerical analysis for this large-scale airplane model with six degrees of freedom demonstrate that the active shock absorber system in accordance with two types of the bee multi-objective algorithm has good performance in comparison with the passive approach to minimize the bounce displacement and momentum, the pitch displacement and momentum, the suspension travel and impact force in time-domain and frequency-domain by using signal processing, that results in improvement of passenger ride comfort importantly. As well as, enhancement of structure’s fatigue life is a likely case as a consequence of study applicable to the industry.